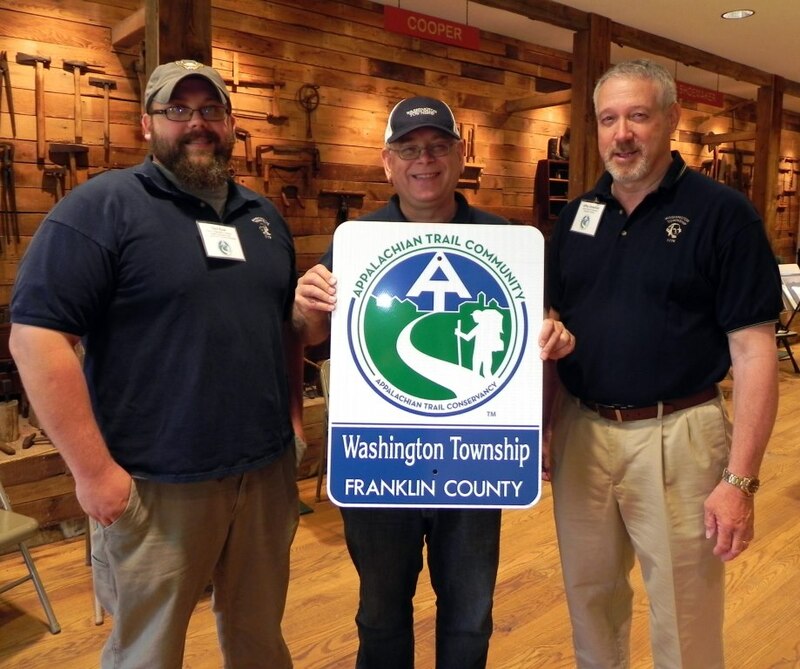 Greater Waynesboro Pa. Area Appalachian Trail Community at the September 6, 2017 meeting. Registration as well as a children’s craft will begin at 1 PM at the Old Forge Picnic Area off of Old Forge Road, near Camp Penn. 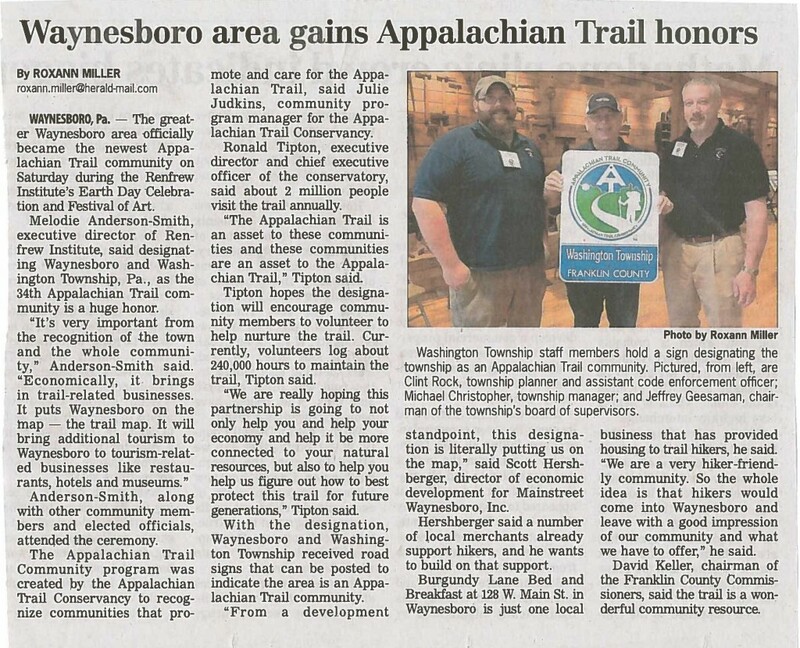 This will be followed by two guided hikes, the first of which will depart the picnic area at 2 PM. 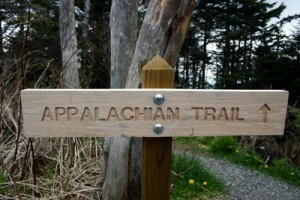 This hike will be to Chimney Rocks, which can be a strenuous hike and is not recommended for young children. 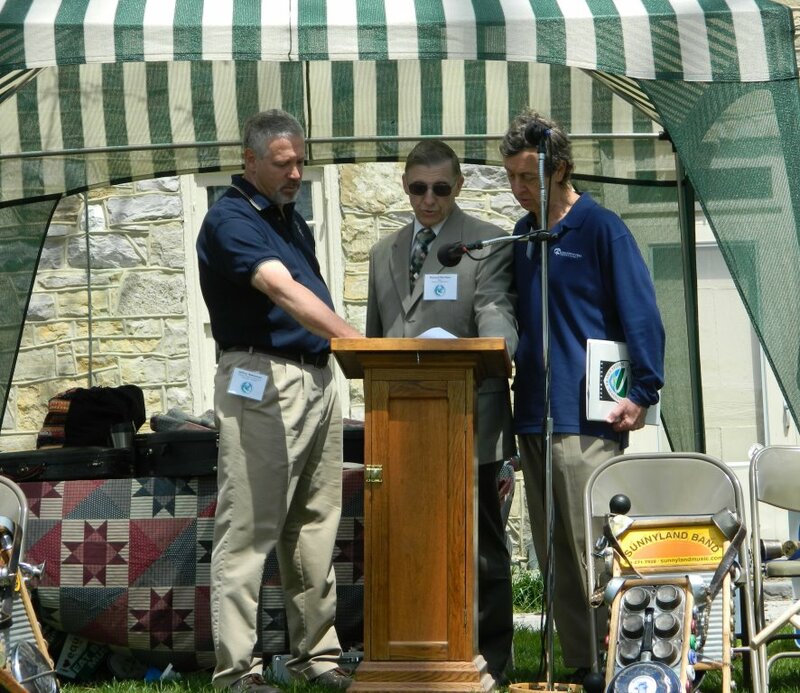 The second hike will depart at 2:30 PM and end at Tumbling Run Shelter. 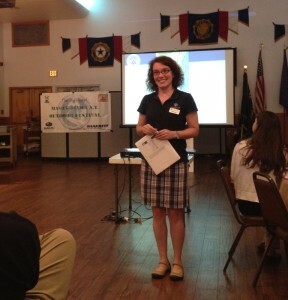 Mainstreet Waynesboro, Inc. & the Greater Waynesboro PA Area Appalachian Trail Community Committee hosted Kelly McGinley of the Appalachian Trail Conservancy as a guest speaker at American Legion Post 15 on Friday, July 31. Ms. McGinley gave a brief overview of the Appalachian Trail as well as its planning and history before discussing the benefits of being an Appalachian Trail Community. 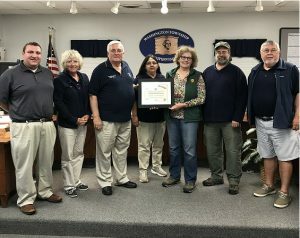 She went on to applaud the efforts of the Appalachian Trail Community steering committee, Washington Township, and the Borough of Waynesboro for their commitment to the AT Community program and for all their hard work on events and outreach to the both the local and Appalachian Trail communities. 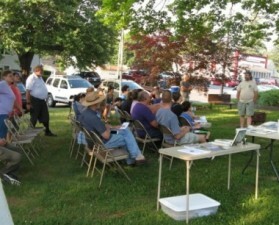 The Blue Ridge Summit Free Library hosted a campfire with the Appalachian Trail Ridge Runners on Thursday, June 11th, 2015 with a crowd of approximately 40 guests to learn about monitoring conditions of the trail and checking on the welfare of the hikers. 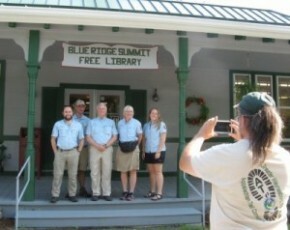 Five Ridge Runners for Potomac Appalachian Trail Club shared their experiences of trail patrol and presented Leave No Trace ethics on the front lawn of the Blue Ridge Summit Free Library.